Ellmann Lecturer Paul Simon. Photo by Mary Ellen Matthews. 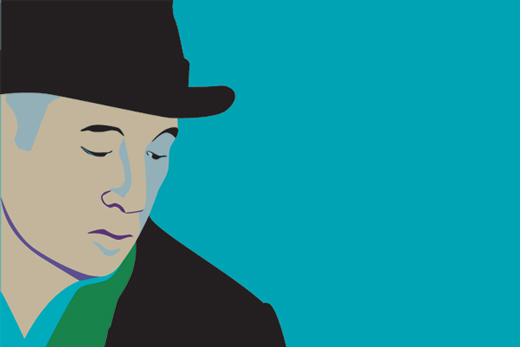 Singer-songwriter Paul Simon arrives on campus this weekend to present the Richard Ellmann Lectures in Modern Literature, Sept. 22-24. • Lecture: "Sailing on an Endless Sea: My Life as a Songwriter"
• Lecture: "View from Cloud: The Solitary Artist in a Collaborative Culture"
"This is, I believe, the first time Paul Simon has given a formal lecture on songwriting. This promises to be a major work, illuminating not only his considerable artistry, but the entire enterprise of song in the 20th and 21st centuries," says Ellmann Lectures Director Joseph Skibell, professor of English and creative writing. Simon's approaching visit, rescheduled from February, is re-booting a buzz that's been building on campus. Enthusiasm is high, says Len Cassamas and Jacque Aly, English department staff members who co-founded a Paul Simon Discussion Group last fall. The group is open to the Emory and Atlanta community and includes faculty, students and staff from a variety of departments. "The core of the discussion group has always hovered around half a dozen, while we currently have 55 members on the Facebook page from all around the world," Cassamas says. Aly says, "The discussion group page morphed from a page for announcements, comments, video links, and photos to a forum that contributed exciting new features [such as] lively discussions between members and podcasts." Cassamas compiled the podcasts from the discussions and posted them to SoundCloud. He plans to interview the group's members again after the Ellmann Lectures conclude to capture their reactions to the events. A series of video interviews on YouTube features faculty, staff and students sharing their perspectives on Simon and his work. The campus conversations are featured on the Ellmann Lectures website and iTunesU, sponsored by Creativity: Art and Innovation at Emory. Skibell will introduce Simon at the first lecture. Members of the Ellmann Selection Committee — Columbia University professor Jeremy Dauber, composer and NYU professor Andy Teirstein and novelist Heidi Durrow — will each introduce Simon at the three other events, he says. "It's hard to overestimate how influential and global [Paul Simon's] reach as an artist is. Songs, films, comedy, theater — his artistic reach and grasp are tremendous," Skibell says. "We're fortunate to have him on our campus for three days."